Why Is Medicaid Planning Relevant? How Do You Find an Elder Law Attorney? What Is Medicaid in Charlotte NC? Is Medicaid Only for the Poor? Can I Keep My House When I Apply for Medicaid? When Should An Elderly Loved One Stop Driving? How Does a Veteran Qualify for Aid & Attendance? Should I Consider Drafting a Living Will as Part of My Estate Plan? The Power of Attorney: Do You Know the Basics? North Carolina Estate Tax: Should You Be Concerned? How Long Does Probate Take, and Why? What are the Primary Purposes of an Estate Plan? Should I Include a Retirement Plan in my Estate Planning? Should You Settle for Dying Intestate? Estate Taxes: Will They Impact Your Legacy? Do You Need a Trust Lawyer? So You Think You Don’t Need an Estate Planning Attorney? What Happens to Assets That I Never Put Into My Living Trust? Who Is Competent to Create a Last Will? Is a Last Will Always the Right Choice? Can an Executor Distribute Property Immediately? Does a Young Adult Need an Estate Plan? Powers of Attorney in Ashland: What Is the Difference Between a General and a Limited Power of Attorney? What Happens to My Property if I Die Intestate in Ashland Kentucky? Gift Tax in Ashland: Do I Pay a Tax on Gifts to My Children? 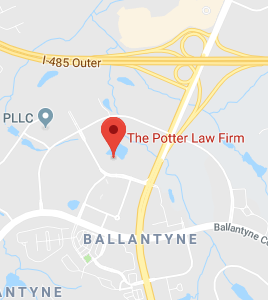 Do I Need a Probate Lawyer in Charlotte? Does a Revocable Living Trust Protect Family Wealth? When Does a Power of Attorney Go Into Effect? What Is a POD Account in Charlotte North Carolina? Will My Heirs Face Inheritance Taxes? What Is the Annual Gift Tax Exclusion in Florence Kentucky? Incapacity Planning in Charlotte: What Is a Guardianship or Conservatorship? What Is an Executor in Charlotte North Carolina? Durable Power of Attorney for Property in Charlotte: What Are Its Advantages? Can You Contest a Trust in Ashland? What Are the Drawbacks of Probate in Charlotte North Carolina? Trusts in Charlotte NC: Can a Trust Protect Family Wealth? How Does “Cliff” Deal Impact Estate Tax? Estate Tax: Selectively Imposed Instance Of Double Taxation? Do You Conduct Business & Socialize Online? Is An Estate Planning Attorney Really Necessary? Why Would I Need an Estate Plan Before I Have Children? Is it Okay to Leave Unequal Inheritances in My Estate Plan? Do I Need to Update My Estate Planning? I’m Thinking of Creating a Will…How Will it Help Me? Why Does My Estate Planning Attorney Want to Know Whether My Children are Adopted? What Kind of Questions Will My Estate Planning Attorney Ask? Why Your Will Won’t Work! Will Your Estate Plan Work if You Need Long Term Care? How Can Business Owners Protect Assets? How Can Asset Protection Planning Help? Will I Lose Everything to the Nursing Home? Why Do I Need a Huntersville Revocable Living Trust? Do You Need a Trust Administration Checklist? Free Report: What is a Qualified Personal Residence Trust in North Carolina? I Have a Will. Is That Enough? How Can a Will Help Me? What Are the Advantages and Disadvantages of an Adult Guardianship? Free Report: Can I Qualify for Medicaid If I Own a Home? What Protections are Available for the Healthy Spouses of Medicaid Recipients? What if I Can’t Afford Nursing Home Care? Will Medicaid Protect My Spouse? Can You Avoid the Need for Emergency Medicaid Strategies? Will My Estate Definitely Pass Through Probate? Estate Tax: Should It Be Repealed? : What do I do about Social Security?